VCLA and Wolfgang Pauli Institut (WPI) hosted visiting professor Leopoldo Bertossi, School of Computer Science, Carleton University, from September to December 2017 on the invitation of Georg Gottlob. “Coming back to Vienna is always refreshing for my mind and my spirit. A longer stay, adopting a life and work routine, is even better. The cultural environment, which includes the present and the past, is highly stimulating. Doing science in a city where in the intertwined manner the culture and social atmosphere create the conditions and stimuli for intellectual achievements is just fascinating. In my free time I had the opportunity to go a bit deeper into my more recent literary and sociological, Vienna related, interests, such as the writings by Karl Kraus, and the authors of the “Young Vienna”, in particular, Arthur Schnitzler. And of course, there are the pleasures of every day life, such as the wonderful Appfelstrudel at the “Tirolerhof Cafe”, or listening to then great radio station “Stephansdom Klassik”. On the photo bellow, Leopoldo Bertossi with the coordinator of the LogiCS doctoral college Anna Prianichnikova. 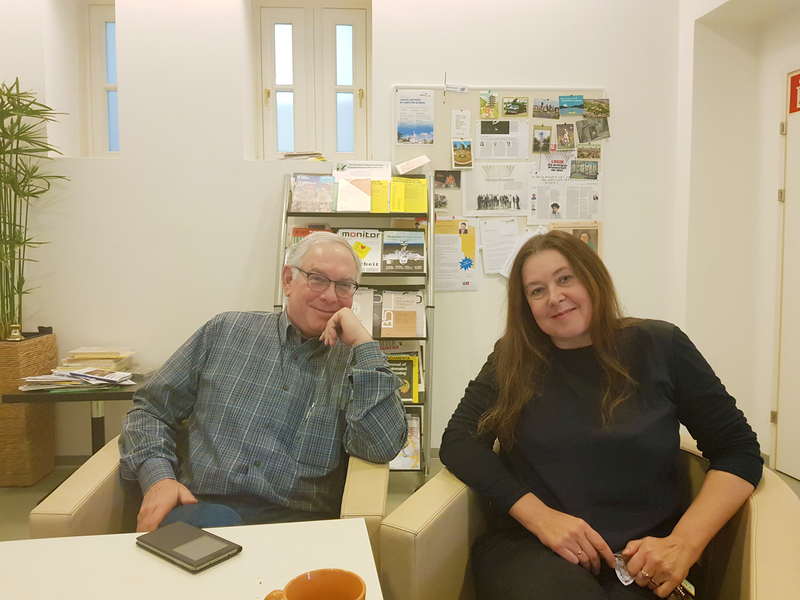 Leopoldo Bertossi, Carleton Univeristy, Anna Prianichnikova, VCLA at TU Wien.